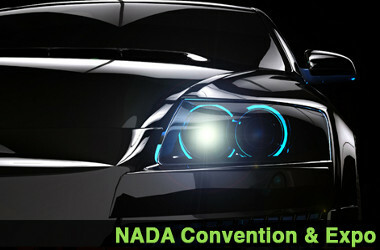 From 8th to 11th February 2013, in Orlando, Florida, it will take place the 96th edition of NADA Convention, which gathers the operators of the American automotive distribution. Since long time, the event represents an important appointment for all the operators of the automotive distribution, with an increasing attendance of the international operators, mainly from the rising markets. According to tradition, even this year Quintegia will be present at the event with a delegation, who will take part to telematic workshops, plenary sessions and collateral events. This aims at keeping constantly updated the contents and the evolving trends of the American market and inciting the comparison and the international networking.Quintegia will continue the interchange of relations with the operators of different nationalities. Despite the delegation Italy@NADA is more controlled with respect to the number of participants compared to the previous editions, it will always coordinate the Italian participants in the key situations of the Convention in Orlando. In view of the American event, Quintegia is willing to supply informative and support for the enrolment to the Convention, given the tight collaboration with the organiser of this important international occasion. However, logistic and organisational aspects are to be managed autonomously.